1.1. This Policy of personal data processing and protection (hereinafter – the "Policy") has been adopted and valid in companies "Kontakt", InterSearch Russia (hereinafter – the "Company"). The document explains how personal data is processed in our Company, which provides services of recruitment, executive search, assessment and provision of temporary staff. 1.2. This Policy has been developed in accordance with Federal Law No. 152-FL "On Personal Data" of 27 July 2006. 1.3. Since the Company is an entity of several companies, your personal data may be accessible to other affiliated companies of the Company which are bound by the uniform rules for personal data processing and protection and the non-disclosure agreements. Personal data means any information relating to determined or determined natural person. Operator means a government body, a municipal body, a legal entity or natural person, that, either on their own or jointly with other entities, organizes and/or performs the processing of personal data, as well as defines the purposes of personal data processing, the scope of personal data subject to processing, and actions performed with the personal data. Processing of personal data means any action performed with or without the use of automation facilities toward personal data including collection, recording, systematization, accumulation, storage, refinement (update, change), retrieval, use, transfer (dissemination, provision, access), anonymization, blocking, deletion or destruction of personal data. Blocking of personal data means a temporary cessation of personal data processing (except in cases where processing is necessary for refinement of personal data). Destruction of personal data means actions whereby it becomes impossible to restore the content of personal data in the personal data information system and/or resulting in the destruction of personal data storage media. Personal Data Information System means a totality of personal data contained in the database, IT solutions, hardware and software, ensuring their processing. Confidentiality of personal data means a mandatory requirement for the operator not to disclose personal data to third parties and not to allow the dissemination of personal data without the consent of the personal data owner or legitimate grounds. Applicant means a natural person who consented to the processing of his/her personal data with the purpose of facilitating an employment. 2.1. The processing of personal data shall be performed on a legitimate and impartial manner. 2.2. Only the personal data that match the purposes of their processing shall be subject to processing. 2.3. The content and the scope of personal data shall match the announced purposes of their processing. The processed personal data shall not be redundant in terms of the stated purposes of their processing. 2.4. The processing of personal data shall be limited to the achievement of specific, previously set and legitimate purposes. 2.5. We take all the necessary measures to ensure the security of personal data during its processing. 2.6. We respect the rights and legitimate interests of the personal data owners and ensure their protection when processing personal data. 2.7. Biometric personal data shall be processed in the Company, only if there is a written consent of the personal data owner. 2.8. No biometric personal data shall be processed in the Company, except for photo images of the personal data owner, subject to the conditions stipulated by law. 2.9. When you access our Website from any device or contact us in any form, in accordance with this Policy, by providing us with your personal data, you consent to the processing of your personal data in accordance with this Policy. 2.10. The Company provides recruitment services to our clients. The Company processes personal data of persons that it comes into contact with using the Information System. - Other information that an Applicant may provide on his/her own initiative for employment purposes. 3.2. Personal data of the employees processed in the Company shall be determined based on the Labour Code of the Russian Federation and the statutory documents of the Company. promotion of our activity and services. 4.2. Personal data shall be stored up to the moment of receiving the Applicant's withdrawal of consent to his/her personal data processing. 5.1. In accordance with the Legislation, the processing of personal data means any action performed with or without the use of automation facilities toward personal data including collection, recording, systematization, accumulation, storage, refinement (update, change), retrieval, use, transfer (dissemination, provision, access), anonymization, blocking, deletion or destruction of personal data. 5.2. The personal data of Applicants shall be transferred for the purpose of possible employment only to the Company's clients (potential employers). 5.3. The Company's clients (potential employers) are warned about the confidentiality of the communicated data. 5.4. If you participate in a user survey, we may ask you to provide us with your personal data, including your name, email address, your views and opinions. 5.5. We shall store your personal data until we finish the provision of our services, as well as in accordance with the requirements of legislation, tax service and accounting. If your personal data is no longer needed, we guarantee that it will be safely disposed of. We shall notify you of it, if required by law. 6.1. Under the RF legislation any company processing personal data must get the consent of the personal data owner to such processing. 6.2. The owner of personal data who has given this consent can withdraw it at any time by duly executed the relevant withdrawal of the consent. In the event of liquidation of the Company. 8.1. In case of your refusal of the personal data processing, the Company shall to terminate their processing. Such a step should be taken in cases where you are confident that the Company's specialists cannot help you. If you do not wish to receive any information about vacancies in the near future, inform the Company's employee, who will enter this information into the information system. 8.2. If you decide to revoke your early written consent, you should send us a withdrawal of consent to the processing of personal data at the following address: 119180, Moscow, Yakimanskaya naberezhnaya, 2, floor 5, room I. Under the RF legislation governing the protection of personal data, we shall terminate the processing of your personal data within a period not exceeding thirty days from the date of receipt of your written withdrawal. The confirmation of the termination of processing of your personal data will be sent to you. 9.1. You can contact us with a request or a complaint regarding the processing of your personal data by sending us a letter with the subject "Personal Data", specifying the purposes for which you have provided us your data and the operations that we perform for their procession, to the e-mail address: secretary@kontakt.ru or to the address: 119180, Moscow, Yakimanskaya naberezhnaya, 2, floor 5, room I. We may ask you to provide additional information regarding your request that is necessary to prepare our reply. We may update the Policy as necessary. We recommend that you periodically check the relevance of this Policy. By continuing to use our Websites you confirm your acceptance of the changes made. A visitor, performing any actions on the website www.kontakt.ru (hereinafter – the "Website"), aimed to use the Website, including review and search for vacancies, job applications, or any other actions aimed at using the Website, shall accept this Consent to the processing of personal data (hereinafter – the "Consent"). The visitor confirms that he/she gives his/her consent, acting freely of own will and in own interest, as well as confirming his/her legal capacity. other personal information for the service of search and development of personnel as well as research in the field of human resources management, provided by the Operator. I hereby authorize the Operator to process my personal data, including collection, systematization, accumulation, storage, refinement, updating, modification, use, transfer, anonymization, blocking and destruction. The Operator shall have the right to process my personal data by entering it in the electronic database and by including it in the report forms. In the process of interaction with the Operator on issues related to professional practice of the Operator I authorize the Operator's employees to transfer my personal data to third parties. The Operator shall have the right to exchange (receipt and /or transfer) my personal data to the third parties using media residents or via communication channels in compliance with measures ensuring their protection from unauthorized access, provided that they are received and processed by a person obliged to keep them confidential. I hereby give my consent to receive newsletters and materials related to the Operator's activities from the Operator to the e-mail address provided by me, as well as invitations to participate in the Operator's surveys, events, etc. This consent has no restrictions on its effective term. I reserve the right to withdraw my consent by drawing up a relevant written document, which can be sent by me to the Operator by registered mail with acknowledgment of receipt, or delivered personally against signed receipt to the representative of the Operator. In the event of the Operator's receipt of my written request of withdrawal of this Consent to processing of my personal data, the Operator shall terminate its processing within 30 (thirty) business days from the date of receipt of such request. 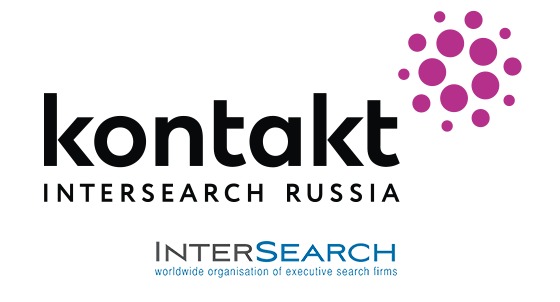 By sending a message to Kontakt InterSearch Russia and clicking the button below you confirm that you accept Personal Data Procession Program and give your Consent to a personal data procession. Thank you! Your CV has been uploaded. We'll let you know when we have a vacancy suitable for you.